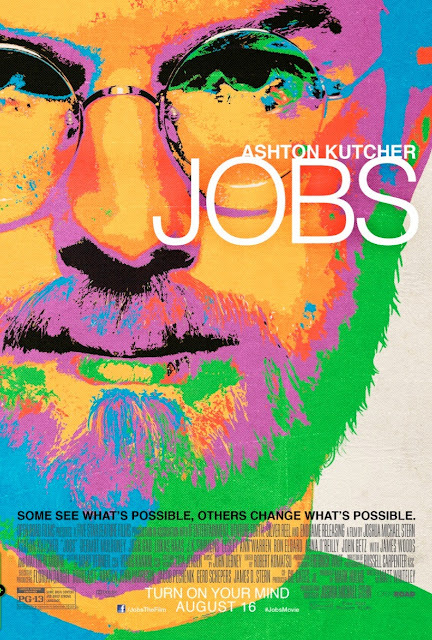 Reparto: Ashton Kutcher (Steve Jobs), Dermott Mulroney (Mike Markkula), Josh Gad (Steve Wozniak), Ahna O’Reilly, James Woods, J.K. Simmons, Kevin Dunn, Lukas Haas, Matthew Modine, Lesley Ann Warren, Brad William Henke, Elden Henson. Producción: Mark Hulme y Marcos Rodriguez. Diseño de producción: Freddy Waff. Productoras: Devoted Consultants, Five Star Institute, Open Road Films y Silver Reel.